A drone shot of Discount Tire’s 1,000th store in Phoenix, Arizona. 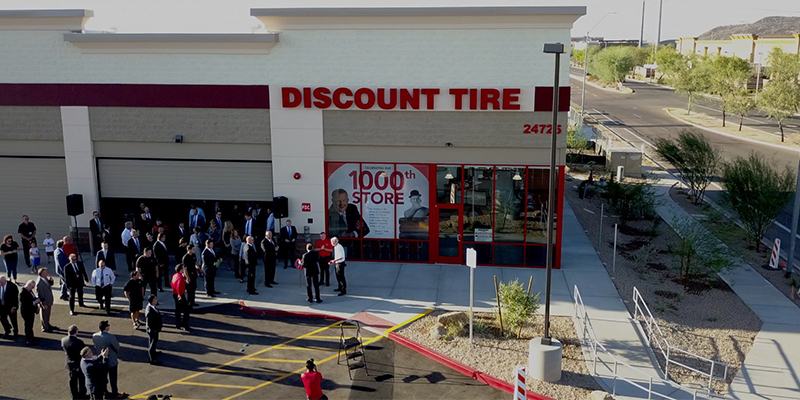 Discount Tire, the nation’s largest independent tire and wheel retailer, has opened the franchise’s 1,000th tire store located in Phoenix, Arizona. The store design may appear the same as other Discount Tire locations, but the new store at 24725 N 23rd Ave. will hold a place of significance in the hearts of many who know the brand or have worked for the company, Discount Tire said in a press release. Founded in 1960, Discount Tire has grown from a one-man tire shop in Ann Arbor, Michigan, into the nation’s leading tire retailer. The company reached 200 stores in 1990 and has doubled in size since reaching store number 500 in 2002. It attributes its success to the respectful, can-do attitude that began at Bruce Halle’s first store and is instilled in each of the company’s more than 20,000 employees, the release said. Discount Tire sells a wide selection of leading tire brands including Michelin, Goodyear, Bridgestone, BFGoodrich, Pirelli, Falken, Continental and Cooper along with company exclusive brands such as Arizonian, Road Hugger and Pathfinder. The company also offers a variety of custom wheel brands including MB, Vision, American Outlaw, TSW, Liquid Metal and Konig. 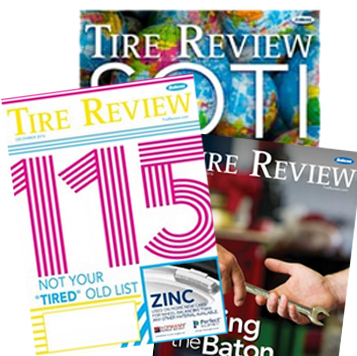 The tire retailer currently has stores in 34 states with plans to expand in three more states in the near future.